Coastal Action has been conducting two studies involving American eel since 2011: elver abundance study and silver eel study. We have been studying elver abundance on the East River in Chester since 2008. The project is a continuation of research originally carried out by the Department of Fisheries and Oceans (DFO) which began in the late 1990s. Each year, the study starts in early spring between April and May. Typically, the run ends by mid-July and traps are removed. The purpose of the study is to determine elver recruitment on the East River and use data to estimate how many elvers are arriving at Nova Scotia’s rivers. 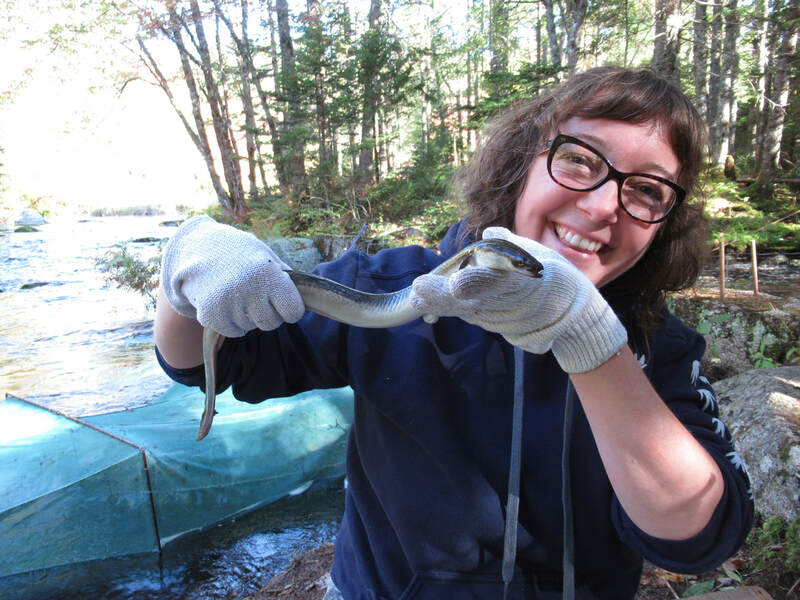 Data from the East River commercial fishery harvest, Fisheries and Oceans Canada research, and Coastal Action’s study are used to assess the health of elver populations in Nova Scotia and to determine whether elvers are being harvested in a sustainable manner. 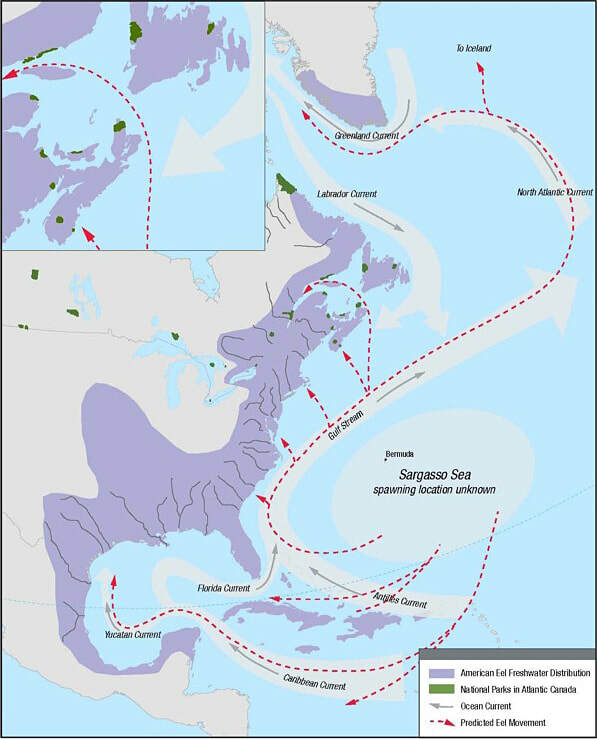 American eel migration routes from the spawning area in the Sargasso Sea to their freshwater homes on the eastern coast of North America. Source: Fisheries and Oceans Canada. Measuring the length of an eel in Oakland Lake. Typically, any eel larger than 450 mm is female. In 2009, Coastal Action began conducting a mark-recapture study on Oakland Lake, Mahone Bay to assess the silver eel population. Each June, American eel are measured for length, weight, and tagged using Passive Integrated Transponder (PIT) tags. PIT tags are used to identify individual eels so that their movements and changes in size or condition can be tracked. Captured eels are also assessed for life stage (yellow or silver) and any characteristics, such as scars or injuries, are recorded. In the Fall of 2014, a mark-recapture study began in East River, Chester to assess the eel population in the river system. Each September, captured eel were measured for length, weight, eye diameter, fin length, and general condition. The eel captured in upstream traps are tagged using streamer tags so they can later be identified as recaptured if they enter the trap at the mouth of the river. Biological characteristics as well as population estimates of American eel are monitored by these studies. 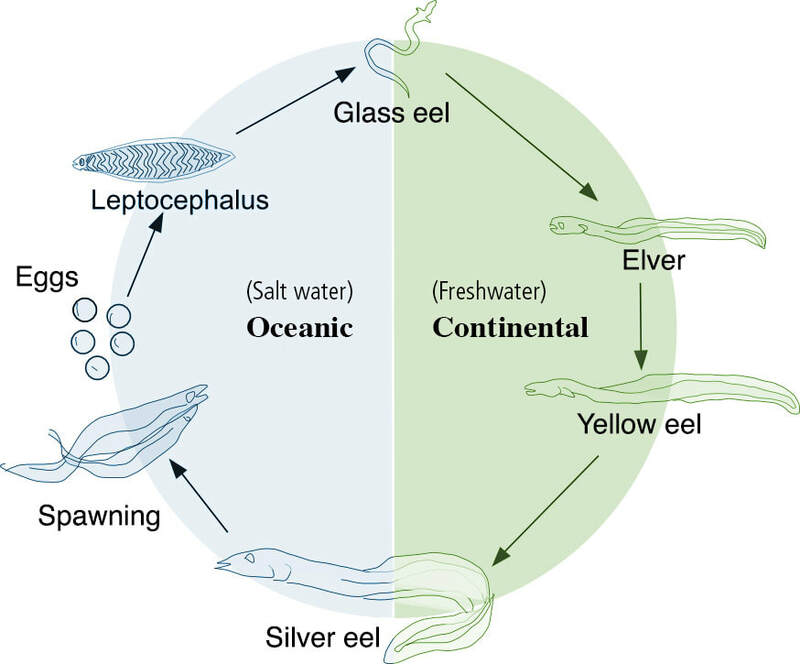 Data acquired from this study are shared with stakeholders in order to collectively work towards the goal of a sustainable commercial fishery for elvers and eels as well as the long-term viability of the species.